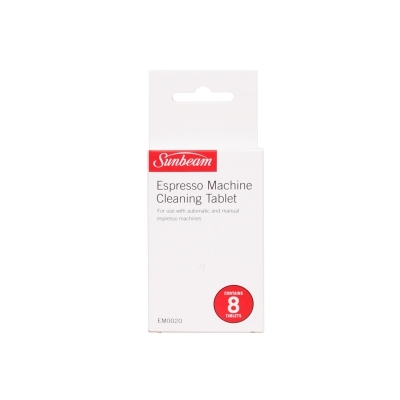 Pack of 8 Sunbeam espresso machine cleaning tablets. Suitable for domestic manual coffee machines including Suneam Cafe Series, Cafe Latte, Arista and more. Coffee residue builds up over time affecting the taste of the beverage and performance of the espresso machine. 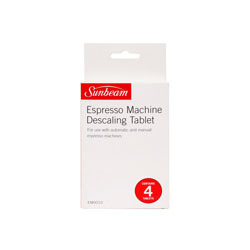 Sunbeam cleaning tablets can be used to clean multiple brands of automatic and manual espresso machines. We recommend that your espresso machine is cleaned every 4-6 months depending on the frequency of use.